The story follows Lennie who lives aboard a pirate ship named The Wilted Rose. She is the only woman in a five person crew all of which are victims of a curse, passed down from their parents. They are forbidden to love and doing so means death. Together, the crew searches for the remaining three heirs (identifiable by a mark on their wrist) so that they can track down the sorceress in the hopes she lifts the curse. Having a ship that steers itself and does all the searching for them makes things slightly easier. The crew quickly becomes comprised of six people after the arrival of Nathaniel Davenport-Lee, a handsome man who could prove a problem for Lennie. The first thing I noticed about this book was that the writing style is a lot better than in the prequel Into The Forest. I got the real sense while reading this that Freedom really knows the world, the characters and every detail that makes up this story. I could really believe in what was happening. Freedom has a truly wonderful style and I loved her choice of words and phrases. While the sorceress seems like the initial villain, I felt that the character of Hadnaloy, the sea witch, was a lot more threatening and possibly the most fascinating character I stumbled across on this adventure. Given that the central theme is love because of the curse, I thought the romance was a bit forced. It’s often predictable in the YA genre but it would have been nice if there was a slower build up to it. It was interesting to learn about the characters and see how they fitted into a confined environment as a lot of the story takes place on the ship. My favourite scene is when the crew are all sat together telling the story of how they got their marks and how they found The Wilted Rose. It just added more depth to the characters and cemented the world and the characters and their personalities. Plus, it warmed my heart a little. This is a wonderful story about love, pirates and adventure that you simply don’t want to miss! Into The Forest is a prequel short story to the full length novel Inherited which is due to be released July 2016. I met Freedom Matthews at a book launch not too long ago and she is literally one of the loveliest people. I tried to get as much information about her upcoming releases and she was quite tight-lipped. Now I finally have an insight into the world with this story. So the joke’s on you now Freedom! HA! My favourite scene was a moment when Ravenzara is looking around a cabin on the ship and she replaces all the dust with flowers. It was such a beautiful scene described in such an elegant way that I could see the event unfolding before my eyes as if I was in the room with her. There’s sibling rivalry in the form of Tatiana; a character I liked the most and have discovered will play a bigger role in the sequel to Inherited. There’s magic, faeries, pirates, exciting worlds. She’s not too happy about Ravenzara’s crowning, believing that it should have been her instead. I love seeing how kingdoms work and the kind of ideals they subscribe to so it was nice to not only get an insight into that but also see two different worlds collide together. While I do talk to Freedom Matthews quite often, it would be unfair to only talk about the good (which there is plenty of). I’m aware that Freedom had a tight word count for this story but I felt like some of the description was lacking in places. It was disorientating. I also feel like this was out of order in the sense of it read like you already knew the characters so didn’t need that initial introduction to them and their relationships. It seems like something that would have worked better coming out after Inherited however, I have heard from another reviewer who has read Inherited that there are a lot of references you only get if you have read this short story. So I’ll be able to form more of an opinion on that once I’ve read Inherited. Don’t get me wrong, I thoroughly enjoyed Into The Forest and it has me very much interested in the world and I cannot wait to read her new book. Freedom Matthews has an astounding ability to create incredible worlds that I cannot wait to experience more of. She is definitely one to keep an eye on! This release is ebook only. It’s taken over a year but I have finally finished my re-read of Harry Potter (in the fancy new UK editions). It’s not the first time I’ve re-read the series and I have no doubt it won’t be the last. This is the fifth book in the series, so you can clearly tell I didn’t re-read the series in order. One thing I have discovered is that every time I pick up one of the Harry Potter books and read them again, I become even more disillusioned by the films. I understand that changes need to be made etc. when it comes to an adaptation, but I just feel like you miss out on so much if you haven’t read the source material. Like I said, this is the fifth book in the Harry Potter series and the longest; reaching exactly 800 pages in this edition. What I really like about this book that following on from the events in Goblet of Fire, is that everything has the “calm before the storm” feeling. Horrible things are looming that people are trying their hardest to ignore, but for the most part there’s enough warmth and joy that it makes you feel like, for now, things are continuing as normal. You have Fred and George up to their usual antics, new and exciting classes and creatures, contrasting with Harry’s negative battle with being left out of situations, being left with no information and no contact with his friends. This book is when he starts to internalise a lot of what he’s going through and becomes quite bitter. He gets upset, he gets angry (and not just over exams) and that only gets worse when the Ministry of Magic appoints Dolores Umbridge as the new Defense Against The Dark Arts teacher. Her character is insufferable as she grows in power throughout the plot, but one thing I will say is that she is tame in the movie adaptation compared to this book. She gave me headaches. A lot. A while ago, someone said to me that J.K.Rowling is a “good storyteller, but not a good writer.” At first I was utterly flabbergasted. I think everyone can agree that Harry Potter has been hugely successful and continues to be long since the last book was released. However, upon my overall re-read, I’ve learnt that the person who made those comments is right. Maybe it’s because I do a lot of editing, or maybe it’s because I’m a writer myself, but I found myself saying “I would have cut that”, “oh that’s oddly presented” although you cannot deny that the world she has created is something that will fall into the classics of the future. She paved the way for stories about magic schools and child wizards. There’s so many subplots in this book that just root you back into the world, despite not wanting to admit that certain people may be making their return, such as Quidditch, St Mungos hospital, the prefects and Hermione becoming essentially a House Elf Activist. And may this is because I love learning, but it was interesting to see the characters stressing over exams and how the actual exams took place. Overall, it’s another solid addition to the series and where I feel Rowling starts to get stronger. It’s moved its way up into my top 3 Harry Potter books. Whether you’ve read his works or not, you’ve most likely heard of Neil Gaiman. It was shortly after seeing the stop motion film Coraline that I learnt Neil Gaiman was responsible for this dark and creepy, yet intriguing story. I recently started delving into his other works: I listened to Neverwhere on audiobook because he is one of the rare authors who does his own audiobook readings. Fragile Things is a collection of “short fictions and wonders” as there is a variety of prose, poems and other forms of writing. This book comes with an introduction in which Neil goes through each story and tells the reader how his ideas for each came about and why he decided to write them which is something I found really interesting as not many short story anthologies have that as an addition. The first is called “October In The Chair” in which the months of the year are people. October has a beard the colours of autumn and tells the story of a boy called Runt who meets a dead boy called Dearly. I thought it was so clever and had me hooked. This story was a practice run for a book Neil would later release called The Graveyard Book. The second is called “The Flints Of Memory Lane” which addresses the idea of how life is not story shaped. We can’t plan out exactly what happens and when, and we don’t get that desirable perfect ending. It’s a ghost story where nothing dramatic happens, nothing is resolved and life continues. I love the point Neil was trying to make by writing this story. Neil Gaiman’s writing is the closest I think we’ll ever get to magic. He just has this remarkable way of coming up with new and inventive creations that blow you away and leave you wishing you could write anything even close to the standard he is at. I feel that even if the initial premise doesn’t interest you, as a reader you can still get enjoyment out of reading them and will come out of the experience with a changed mind. Blurb: “Four months have passed since the shadow stone fell into Kell’s possession. Four months since his path crossed with Delilah Bard. Four months since Rhy was wounded and the Dane twins fell, and the stone was cast with Holland’s dying body through the rift, and into Black London. In many ways, things have almost returned to normal, though Rhy is more sober, and Kell is now plagued by his guilt. Restless, and having given up smuggling, Kell is visited by dreams of ominous magical events, waking only to think of Lila, who disappeared from the docks like she always meant to do. As Red London finalizes preparations for the Element Games—an extravagant international competition of magic, meant to entertain and keep healthy the ties between neighbouring countries—a certain pirate ship draws closer, carrying old friends back into port. This is the sequel to A Darker Shade Of Magic and I cannot deny how excited I have been for this book. It’s one of my most anticipated reads for the year and when my preorder copy arrived two weeks early, I was practically cartwheeling round my house. A Gathering Of Shadows continues to follow the magician Kell and the thief Delilah Bard but on their separate paths after the events of the previous book. Delilah returns at the start of this book on a rapidly sinking boat with her hands tied together and Kell is back in Red London. Delilah manages to get help from a passing ship upon which she kills all of the crew and steals the ship, proving to her real captain Alucard just what she’s capable of. Kell is reeling from the events with the stone and having to process the magical bound between him and Prince Rhy; a bond that means that as long as Kell lives, so does Rhy. What initially feels like a blessing becomes more of a burden as Rhy begins to view himself as cursed and turns to drink copious amounts to fill his empty life. Word has started to spread of The Essen Tasch, an international competition of magic, is to be held in Red London, and Kell plans to participate in disguise. Unfortunately for him, Delilah Bard has the same idea. This is such a wonderful, solid, second book. From what I’ve read of series/trilogies so far, it’s only too easy for the sequel to fall short to the debut. That was not the case with this one. Even though Delilah and Kell are on completely separate paths until the last 100-150 pages, each character holds their own so well that it doesn’t feel like you have to skim read several boring chapters to get to the character you care about. They’re so well fleshed out and so well written that you can’t help but engage with every single word in their stories. V.E.Schwab continues to hint at Black London in a tantalising way that makes you want to track her down and shake her until she answers all of your questions. It took me a lot longer to read this book than I originally planned because this kind of fantasy takes a while to get back into and I did have to re-read some pages a few times. But that is the fault of me and not the author as I read a children’s picture book before reading this one. A Gathering of Shadows did not fall short of my expectations and now I can only sit and impatiently wait until the third book is out, or until the next V.E.Schwab book is out this year. Everything changes for Gabriel when he rescues a wounded creature – a miraculous girl with swallow’s wings – from the voracious pursuit of Alfio Gallo, a dangerous old enemy. The story follows Gabriel, a young peasant boy who lives on a vineyard in Italy where his father works too hard and his mother has some quirks. Gabriel experiences strange dreams that seem to mirror life and often leave him confused between what is the dream and what is reality. One day, Gabriel brings home an injured creature covered in blood. He soon discovers that what he found is in fact a girl with swallow wings. His mother becomes very worried and locks herself away, believing the girl has been created by God or the devil. Alfio Gallo, a dangerous enemy from another farm, comes asking about a falcon he shot down that he thinks landed on their property. Gabriel manages to make him leave without seeing the girl. As time passes, it becomes too risky for Volatile (the swallow girl) to stay and she decides to leave, promising she will return in time for Carnevale, a grand masked European tradition. That’s as much in terms of plot as I can give you without really spoiling it for you, and the beauty really is in the discovery. One thing I really liked about this book was the setting. Through the elegant descriptions given, it just seemed like a beautiful, tranquil place to be, I felt like I was really there. I’ve never read a book set in Italy before so on a personal level that was a nice touch. This book gave me serious Ava Lavender vibes. While Gabriel And The Swallows has fantasy elements to it, the story is very slow. But this is in no way whatsoever a bad thing. Gabriel is a boy who lives a perfectly normal life, despite having this strange girl hiding away in his home. He gets bullied, had failed relationships, goes to college. Volatile is just an interesting secret part. While she does consume a lot of his thoughts, the story isn’t entirely centred on what goes on with her and them as a pair. A character that really stood out for me was Orlando Khan. His friendship was beautiful to witness, especially when Gabriel tries to explain that his mother is “basically retarded” and Orlando just shrugs it off like it isn’t a big deal. That’s a true friend right there. The writing was lyrical; almost like music in the way it swept me off my feet and tugged on my heartstrings. Apart from Truthwitch, I haven’t been affected by a novel this much in such a long time. I have a feeling this book will stay with me for years to come. This is the first in a duology. I first started hearing about this book about two months ago when it became surfacing in the booktube world. A witchy novel edorsed by the wonderous Sarah J Maas on the cover? I was already sold. However, I had resigned myself to having to wait until the release date (5th January 2016) to get my hands on it. Thankfully, the lovely people at Tor Teen & Pan Macmillan sent me a copy to review. The story follows Safi who is a Truthwitch meaning she can tell whether someone is telling the truth or not. A Truthwitch is very rare and as you would expect, there’s a lot of people out there who would like to get their hands on her so their empires can triumph. Safi has formed an unlikely friendship with Iseult who is a Threadwitch, meaning she can see the threads that make up a person and can see their emotions in the way of coloured threads. The duo just want to be free to live their own lives away from the things and people that confine them. But a war is coming to the witchlands. It’s no secret that I adore anything with witches and magic in. This book took things a step further, giving witches specific powers. There’s a whole host of different kinds of witches from the protagonists I’ve stated above, to airwitches who can dominate heat, storms, even control the air in someone’s lungs, to wordwitches who excel in the trade of rumours and secrets. Safi and Iseult disguse themselves as peasents and try to rob a Guildmaster’s carriage, hoping it will give them the money to escape. Their plan becomes foiled and they almost get caught… by a Bloodwitch. A Bloodwitch can smell the very witchery running through the veins of a witch and can track them for continents by the smell of their blood. So, while Safi and Iseult manage to escape, a cat and mouse chase begins. It probably doesn’t help matters that the Bloodwitch is also a Carawen Monk: traied to kill since childhood. This is a very complex novel (as you would expect from fantasy). The world building is perfect, the characters are fleshed out and believable, the unique aspect to the witch powers worked really really well. And the ending. Holy moly, the ending. This book isn’t even out until January 5th 2016 and I already need the next book. 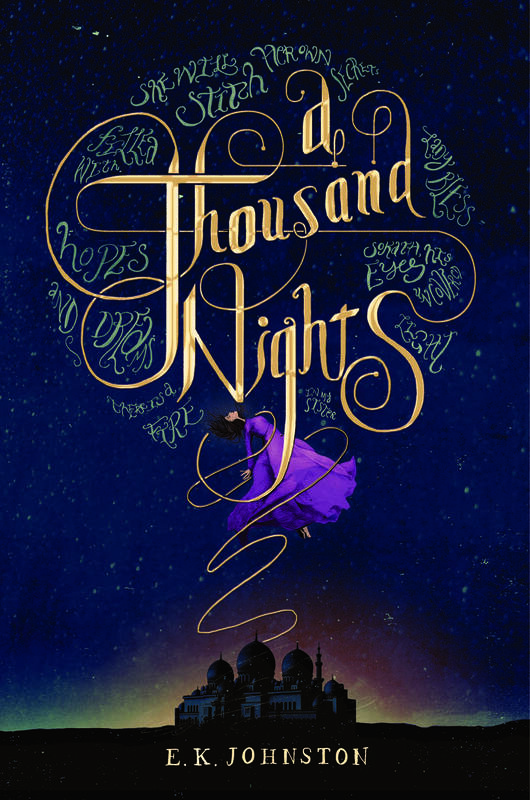 If you love fantasy, witches, medieval settings, you do NOT want to miss out on this one! If anyone was to ever ask me what my all time favourite story is, the answer would without a doubt be Peter Pan. There is something just so beautiful about this place called Neverland, the people who live there, and the adventures you can go on that makes me cling to it with everything I have. The original novel, written by J.M.Barrie, is the reason I decided to become a writer. While this is obviously a book blog, Peter Pan has always been so precious to me that, even though this is a “loose adaptation” it would be silly for me to ignore it. When I initially heard that this movie was in the works I was so excited because it’s been a very long time since we’ve had a Peter Pan movie. 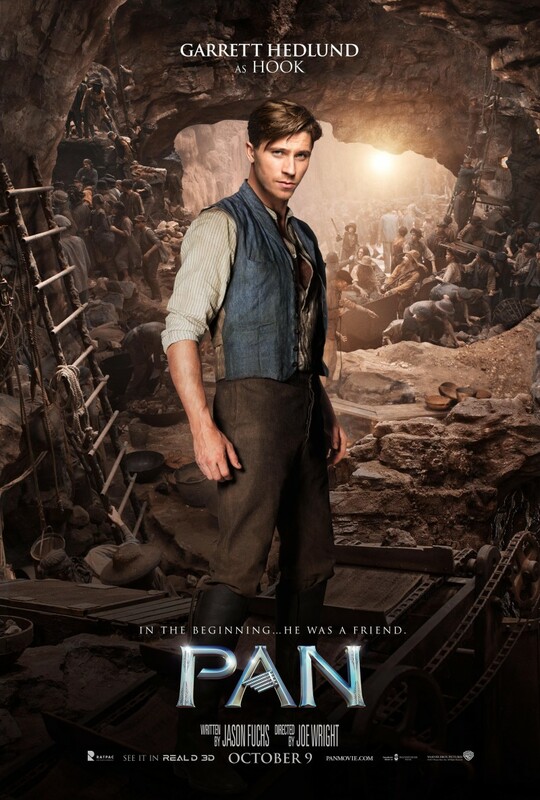 As I waited with bated breath for more information, it was finally announced that the movie would be called “Pan” and would be an origin story. An origin story you say? Surely that hasn’t been done before? Well you would be right, imaginary other half of this discussion. There is no “canon” origin story to Peter Pan. So this had me very interested. There’s not really much you can gauge from looking at a child actor. But at 13 years old, he’s roughly the right age for Peter and from what I saw in the trailer it seemed like he was going to be right for the part. Hugh Jackman is well… Hugh Jackman. He’s just such a fantastic actor. 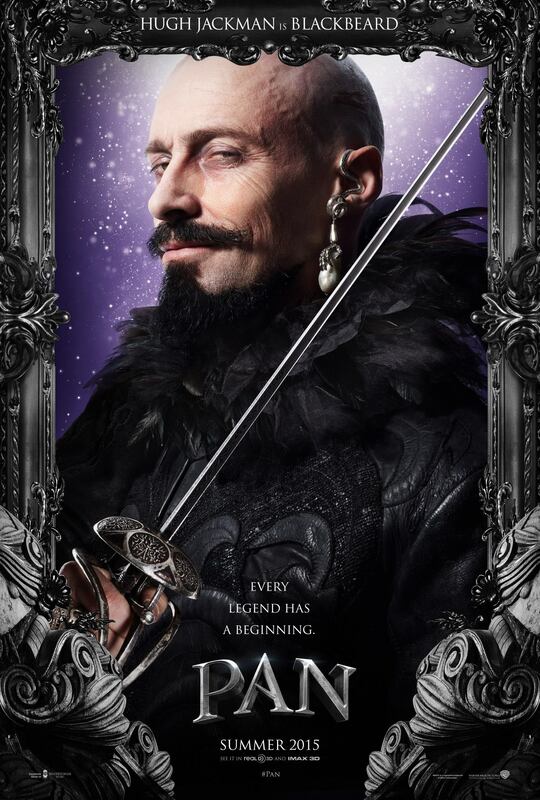 When I first heard he was going to be in the film, I was convinced he was going to play Captain Hook for some reason, but then as more details of the story came out I discovered he would be playing Blackbeard. Also he shaved his head and grew a very styled beard for the role. Here we have the actual Hook. This is what made me nervous for the film. Based on the footage of Garrett in the trailer, his accent is just terrible. I don’t know who told him to put that accent on but bad move. And finally, we have our Tiger Lily. This was one of my bigger concerns. The Indians in the original story are Native American and suddenly in the trailer pops up Rooney Mara. A white woman. I’ll come back to what I thought of the cast based on the actual movie later on. The film has a really pretty opening with a voice over talking about how everything has a beginning and how sometimes not everything is the same as it was at the start: “those who start as friends become enemies, and those who start as enemies become friends.” (A possible link to Hook maybe?) This then cuts to a woman running down a street and leaving a baby outside a door with a necklace. After this brief scene – in which the viewer can identify the actress as Amanda Seyfried- it cuts to a few years later, during World War 2. Levi Miller finally makes his appearance as Peter, the boy who was abandoned in the previous scene. He’s in an orphanage and the only way I can possibly describe this place is that it’s like the orphanage in the musical film Oliver! Food is rationed, the nuns are nasty, the conditions aren’t great and they’re forced to do work. I half-expected the nuns to start singing when Peter asked if there was any bacon. Anyway, one night while the boys are sleeping, the nuns put up a pirate flag. A pirate ship arrives and those on board begin stealing some of the orphans. The army sends fighter planes after the ship believing that it is an attack from the enemy. Why on earth you would think the enemy in the 1940’s would use a flying pirate ship to launch an attack, I’m not sure, but I admired the slightly comic scene that ensued. The ship makes it back to what is assumingly Neverland and this segment of film is what got me really pumped for the rest of it. As Peter looks over the side of the ship he sees thousands of people looking up at him, all chanting, believe it or not, some of the lyrics to Smells Like Teen Spirit. It seems like a cult gathering and the chanting reaches it climax when Blackbeard (Hugh Jackman) makes his entrance and welcomes the new arrivals to Neverland. This scene just made me want to grab a sword and start kicking things and stabbing things because it was just such a badass and epic build up. Initially I thought that the boys getting stolen by the pirates would end up being the lost boys from the original story, especially since Peter’s best friend was called Nibs. However, after the intense chanting scene and seeing how many boys were actually there, it seemed my guess was very much wrong. Blackbeard tells the boys to get mining and Peter learns that they are looking for fairie pixim (fairy dust). Along this way Hook (Garrett Hedlund) makes his on screen debut as the rather bitter adult who’s all “I’m not your friend, kid” but then ends up being stuck with the kid anyway. Peter is determined to find his mother and believes that she may be on the island and that the natives might know where she is. With the help of Hook, they escape and so the cat and mouse chase begins. And of course, what would a film be without some ancient prophecy? The people of the land know of a prophecy which tells of a boy, born from a human woman and a fairy prince, who will come from another world to kill Blackbeard. Also, the boy has the ability to fly. This couldn’t possibly be our little protagonist now, could it? So there’s the basic plot laid out for you. I was very surprised by this film. I expected it to be good but it just went beyond that. There were so many wonderfully clever links to the source material which actually answered a lot of the questions I had about the story such as how Peter can understand fairies, how he actually got the name “Peter Pan” and links to Hook becoming the captain we know. Going back to Rooney Mara whom I mentioned earlier, I tried really hard to put aside the fact she was white and pay attention to her acting. She was very good in this film. Although I’m sure Tiger Lily is closer to Peter’s age in the book, she took on more of a mother’s role with Peter in this film and it was really lovely to see someone guiding him, and believing in him when he didn’t believe in himself. I still would have preferred someone Native American to take on the role though. There was one aspect to this film that literally had me eye-rolling so hard you could have probably heard me. When Hook meets Tiger Lily, it’s not really hard to see that she’s rather attractive and a kind of sub-plot was the tedious Hook attempting to flirt while Tiger Lily having no interest but eventually kind of softening to him. It just wasn’t needed at all and kind of detracted away from the importance of what Peter was facing. Levi Miller was utterly incredible in the main role. Dare I even say it, he may be my favourite Peter Pan to date. I can’t even put into words his acting in this film, but if this boy doesn’t have a long film career ahead of him, I will be shocked. To top the film off, you have breath-taking visuals of the island, brilliant CGI and the score music , composed by John Powell (known for How To Train Your Dragon scores), just adds that extra bit of magic. I highly recommend you see this film if you haven’t yet. Or if you have, let me know what you thought about it!